You wouldn't expect to see dolphins in a lake, but Louisiana's Lake Calcasieu is an exception. The lake contains an unusually high amount of salt, which means dolphins not only live but thrive in its waters. But that's not the only unusual thing about the dolphins living in that lake. 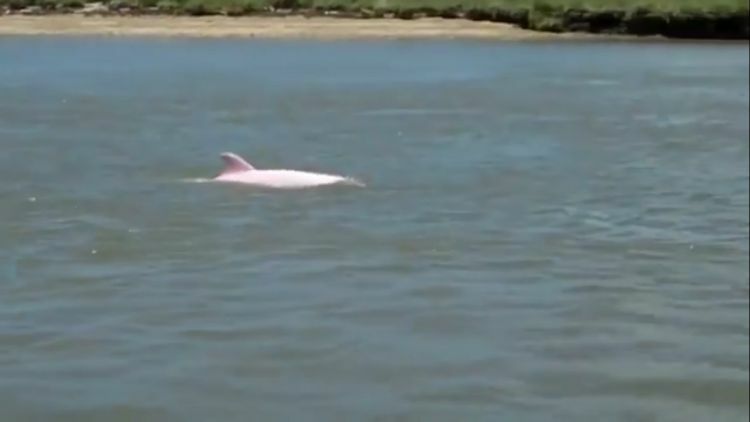 One dolphin named Pinkie is actually pink. First spotted in 2007, Pinkie quickly became a favorite with the public, and it's easy to see why. Her color is striking, especially when contrasted against her mother's typical gray skin. 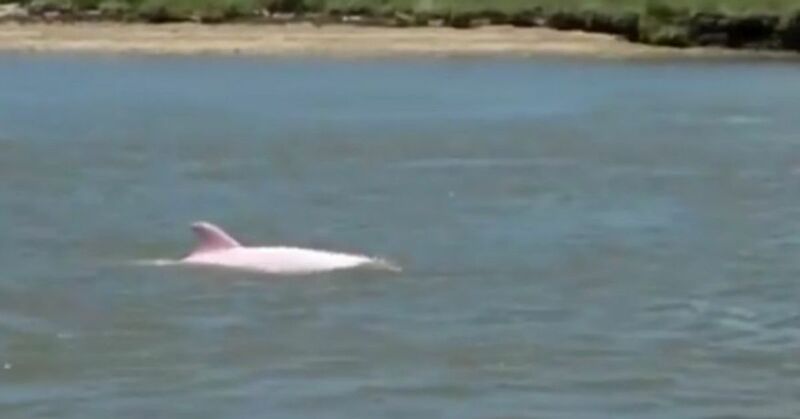 Scientists believe that Pinkie may actually be an albino, which is the result of a genetic abnormality. Regardless of the cause behind her brilliant color, Pinkie is easy to spot. Tourists have begun to charter boats with the purpose of seeing her up close, and she's both healthy and friendly, often coming right up to the boats. Pinkie's also reportedly been mating recently, so who knows what color her baby will be.